I have been trying to clean up and list items I found in my Pickin’ Trip. 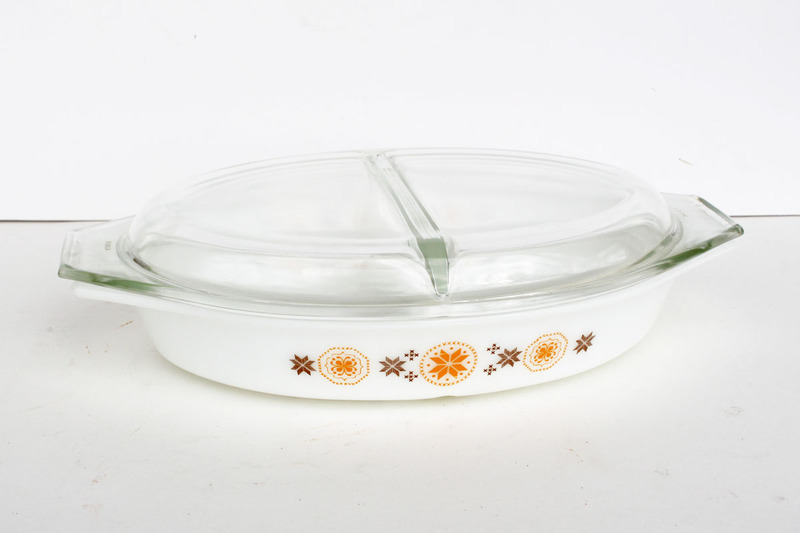 But first I had to show you this Pyrex Divide Dish with Cover. It is the Town and Country pattern. My research shows that it is a relatively common pattern, but I hadn’t seen it with orange and brown before. It is a beautiful dish. I follow a couple of bloggers who seem to purchase several vintage planters, like Van at Thrift Core. 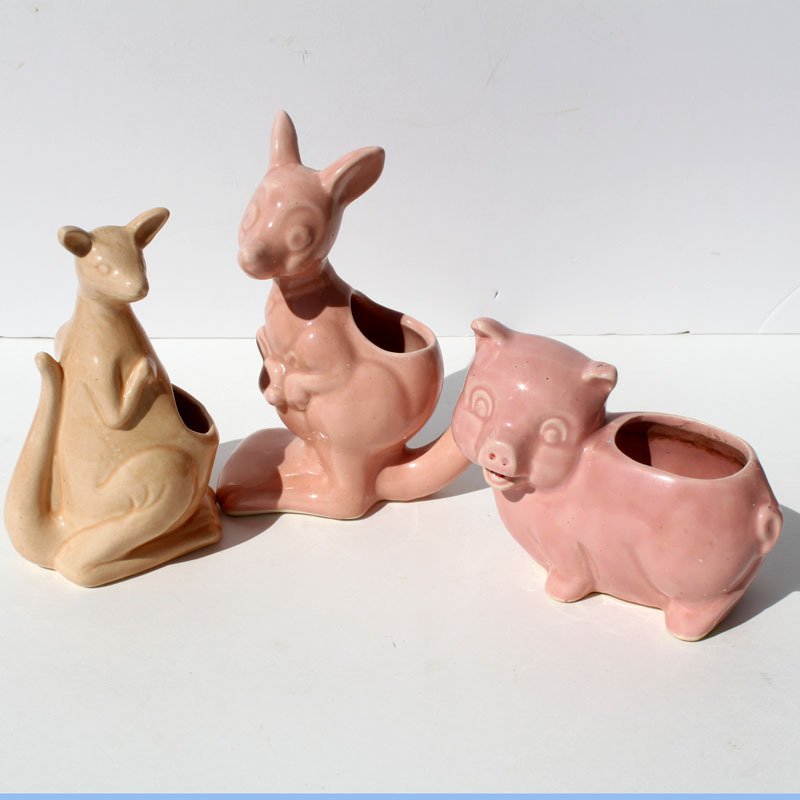 I never buy them, but I was happy to find in my pickin’ finds these 3 Kangaroo and Pig Planters. They are used but the outsides are in great shape. The pig is a McCoy planter, but I am not sure what the other two are. I am not an alcoholic drinker? Is that really a name for someone who drinks alcohol? I like a glass of wine now and then, but I rarely drink mixed drinks. 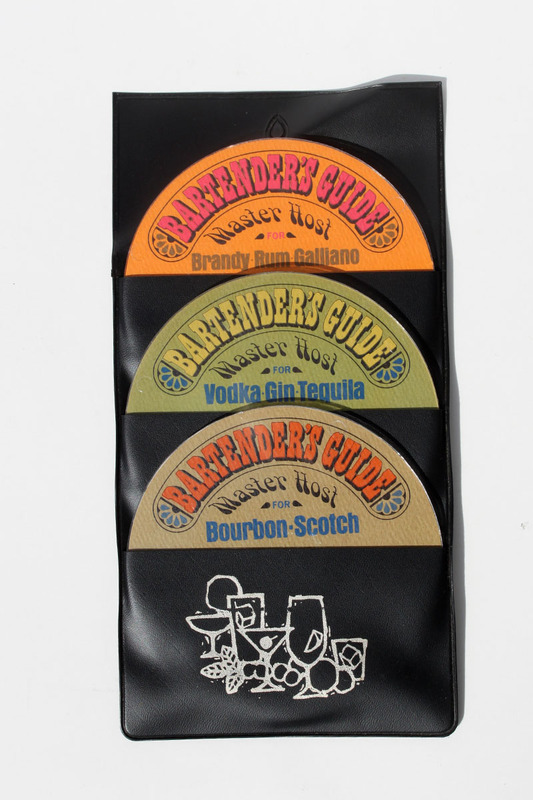 However, I thought these Bartender’s Guide Discs are fun. Each disc has 24 mix drink recipes. Just spin the wheel and find a different drink to make and enjoy. 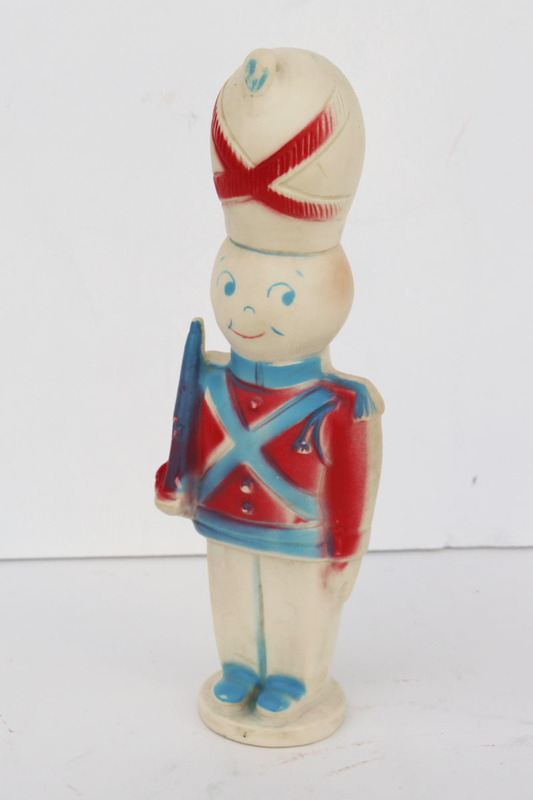 I really like this 1959 Jolly Blinker Squeaky Toy Soldier. It is in wonderful condition. Do kids even have squeaky toys any more? Seems like all their toys are so sophisticated now. This is one simple toy. 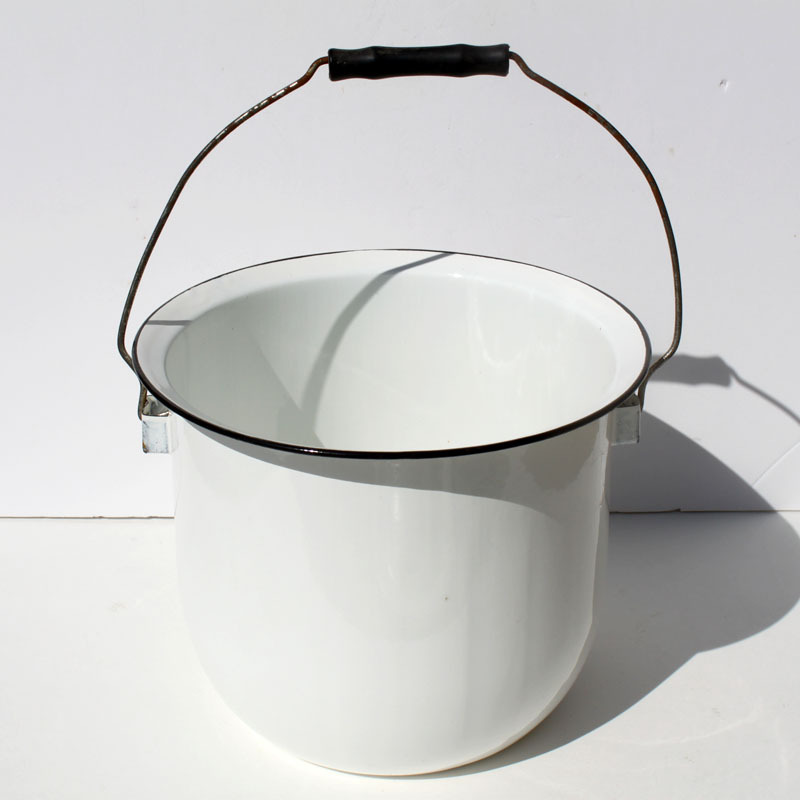 I really like white enamel items. This Chamber Pot is in very good condition. I thought about keeping it for a flower-pot, but I don’t need another one right now. 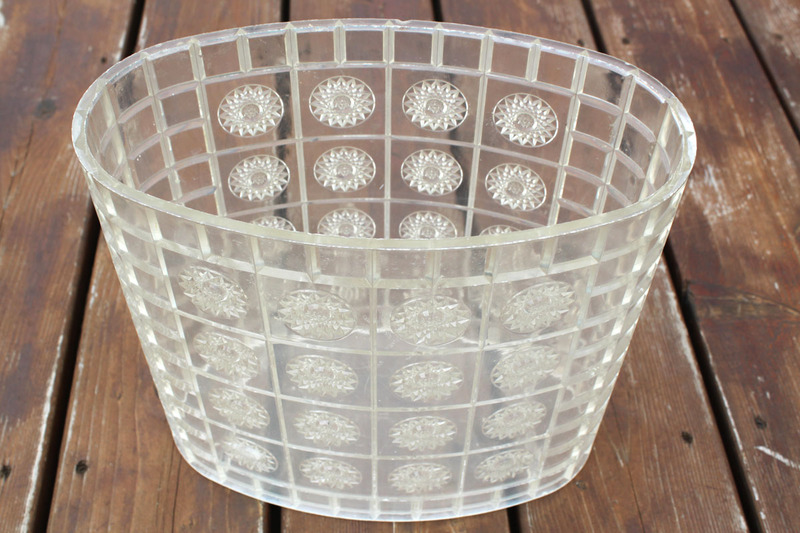 Had to show you this Lucite Waste Basket that I was able to buy from someone at an auction sale. They were doing a huge lot, all to go. I didn’t want anything else, so I asked the winner if he wanted this basket. He said, “No,” and let me buy it from him. Most people at the auctions I attend are very friendly and willing to work with me. I try to return the favor when I can. This guy was dirty when I found him. Cleaned him up and did a little research. He is selling for over $100 if he is working (moves his arms and blows out smoke) and in great condition. 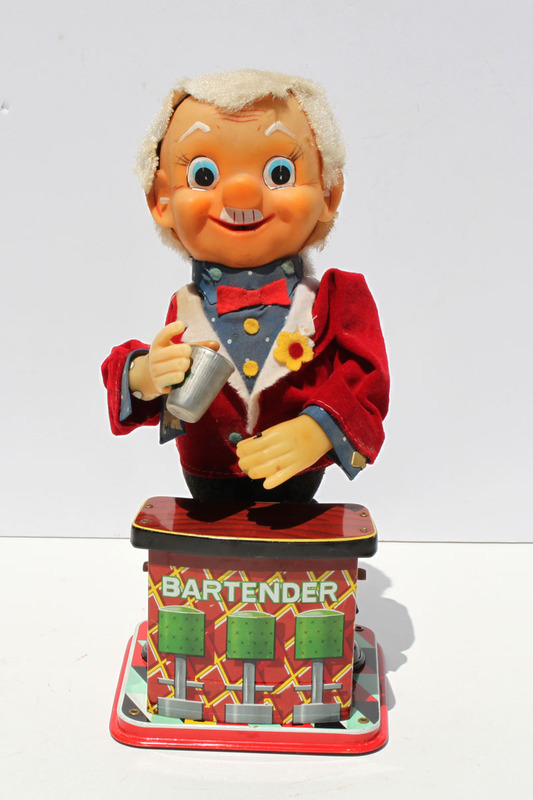 Well, Bartender Charlie Weaver is missing a couple of pieces and doesn’t work. My find is not worth that much, but I plan to list him to sell for parts. He is cute. Love that the bar is made of tin. So far I am happy with my finds. Just have to keep plugging away on the boxes of treasures. Are you finding great things? Great finds, love the planters! Do you collector planters too? Seems like there are quite a few people who do.